Welcome to Greece, birthplace of democracy and the Olympic Games, a land of sunshine, beaches and olive groves. 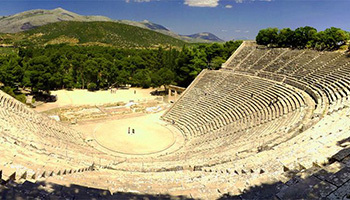 Let us show you around our ancient sites and introduce you to the people whose ancestors brought the world great intellectuals such as Aristotle, Socrates and Homer. A country with unbelievably beautiful monuments and historical sites, a land of gods and myths, a country steeped in history and tradition. Visiting Greece will mean taking home with you the greatest of memories that will last you for a life-time. 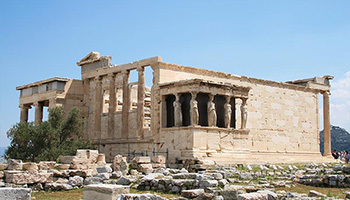 Explore Athens with us, its monuments, museums, lively flea market, night life and tavernas; continue on for the ancient sites of impressive Delphi, Ancient Corinth, Epidavros, Mycenae, Ancient Olympia, the spectacular Meteora and much more. Your choice of half-day, full-day, 2, 3, 4 or more day tours completely tailored to your exact wishes. 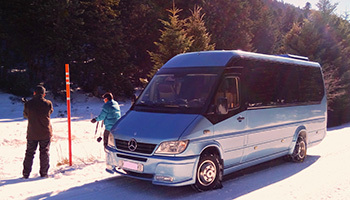 We invite you to take a look through our site offering many exciting tours that will be taken in the comfort of your own private-hire Mercedes Sprinter minibus. ALL THIS with our personalised service and in the comfort of our private-hire, fully air-conditioned Mercedes Sprinter minibus. English speaking chauffeur-drivers and our door-to-door V.I.P. service from your Hotel/Cruise Ship/Athens Airport or Port will ensure you have no worries, no waiting around and no waste of your precious time. Athens Rent a Minibus, is a family run business, the owners Mr. Vasilis Papadogiannis and Mr. Kostas Petakakis are fully licensed, professional, English speaking chauffeur drivers, with years of experience in travel and tourism, who take pride in presenting you with private-hire tours and transfers in Athens and throughout mainland Greece. We are private-hire meaning just for your group, no add-ons, giving you the freedom to stay longer at any destination or change your itinerary at the last moment just by asking your driver. After all this is your vacation and your tour, you will be going where you want, when you want, for as long as you want at a price you can afford. Whether you are here on holiday or have just a short stopover, we will collect you from your Hotel, the Airport or Cruise Ship and we will ensure that you have an unforgettable experience exploring the historical sites, museums, markets and tavernas. Kostas and Vasilis look forward to being of service to you here in Greece.